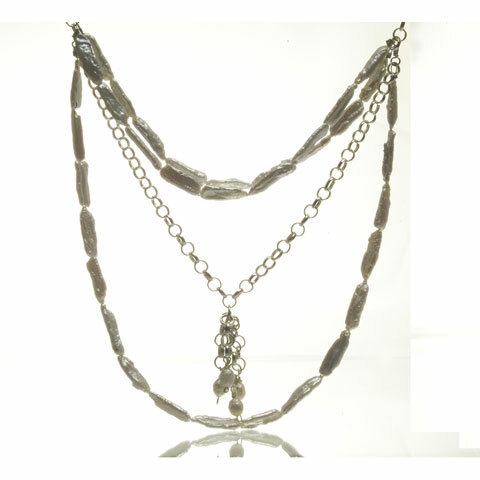 Pearls and sterling chain are softly draped creating multiple textures and movement. Strands of rectangular pearls layered with flowing chains provide a flattering look. The width of this necklace frames the face without adding bulk thereby retaining it’s softness while providing a bold presence.